My gears run smooth no more. just the furnace bleeding like rust. flees the absence of hydraulic pressure. and there should be no air; I have no breath. an overused metaphor, a wish silly as a loosened joint screw. So. This is the sum of my errors, a tally of kinks. Unscrew my copperskin and look inside me. the stuck and grind away. Reassembled, I will not be perfect. Alexandra Seidel does not make a habit of building automatons, nor are her insides held together by screws. But she writes about such things. 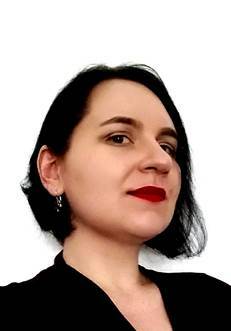 Read some of her work at places like Strange Horizons, Lackington‘s, Goblin Fruit, and elsewhere. You can follow her on Twitter (@Alexa_Seidel) or read her blog if you are so inclined: www.tigerinthematchstickbox.blogspot.com.